This is a fantastic statement mirror. 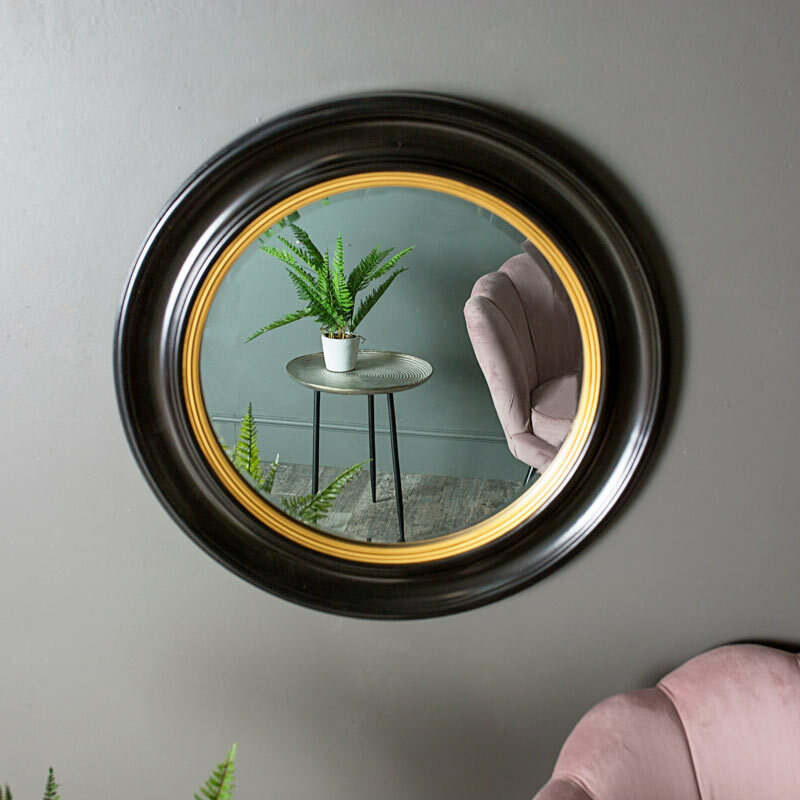 Its wall mounted design with a circular black and gold frame gives a hint of a lovely nutical feel, perfect for hanging in the living room, hallway or bathroom. 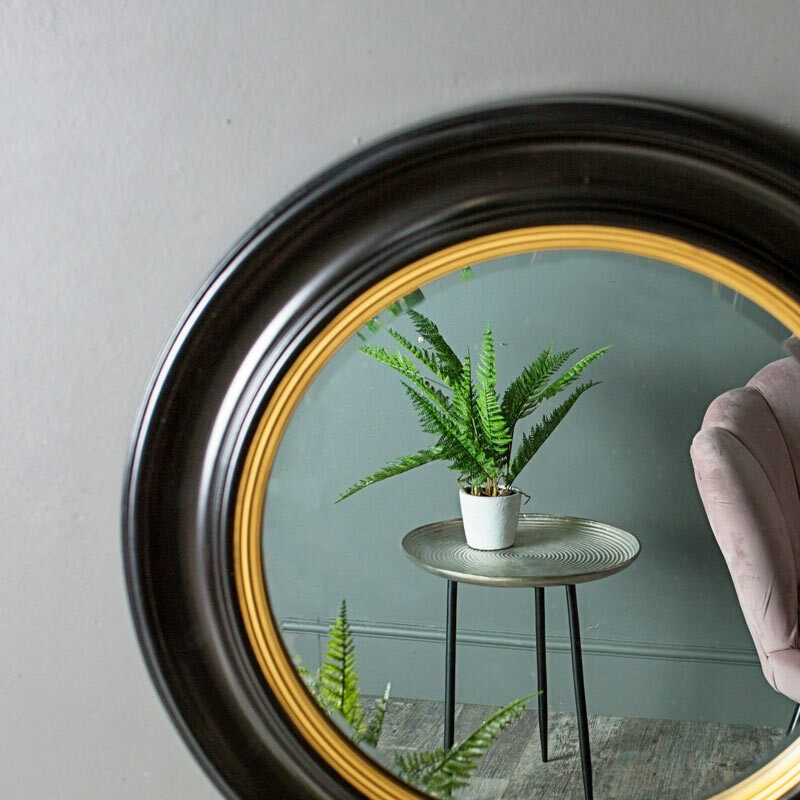 This mirror makes such an excellent addition to any home with a bevelled black frame with gold rim on the inside of the frame. Offering a great addition for modern and traditionally styled interiors.